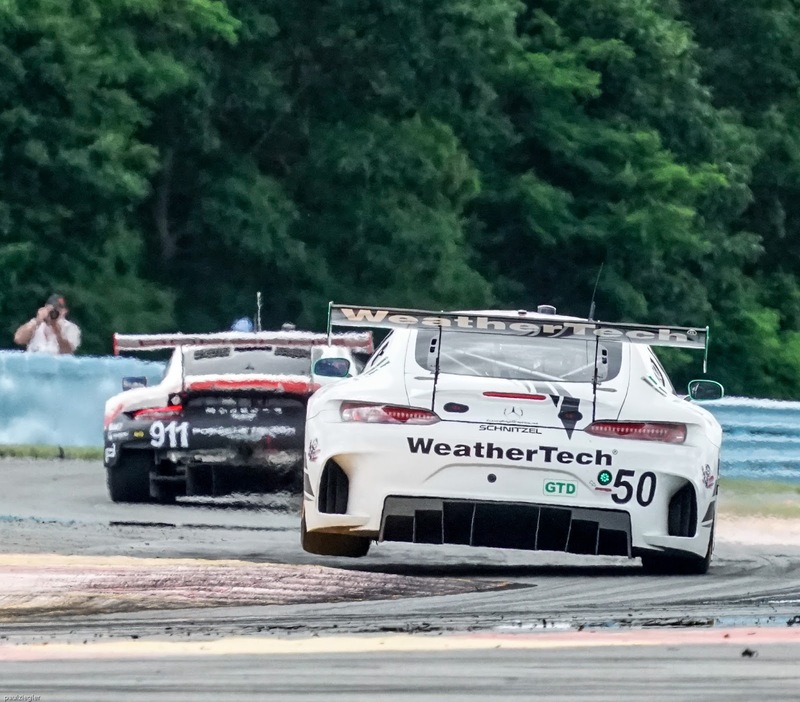 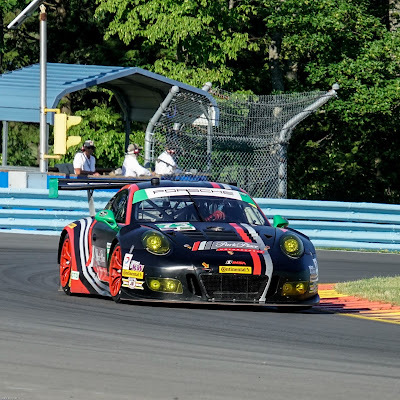 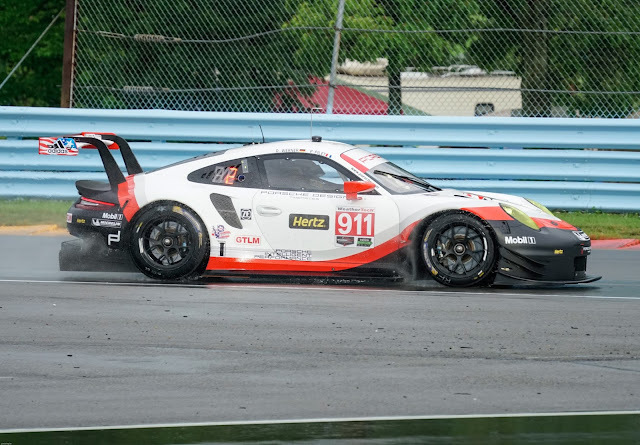 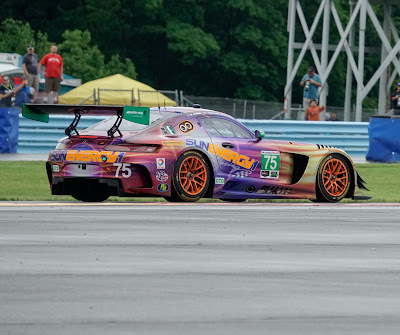 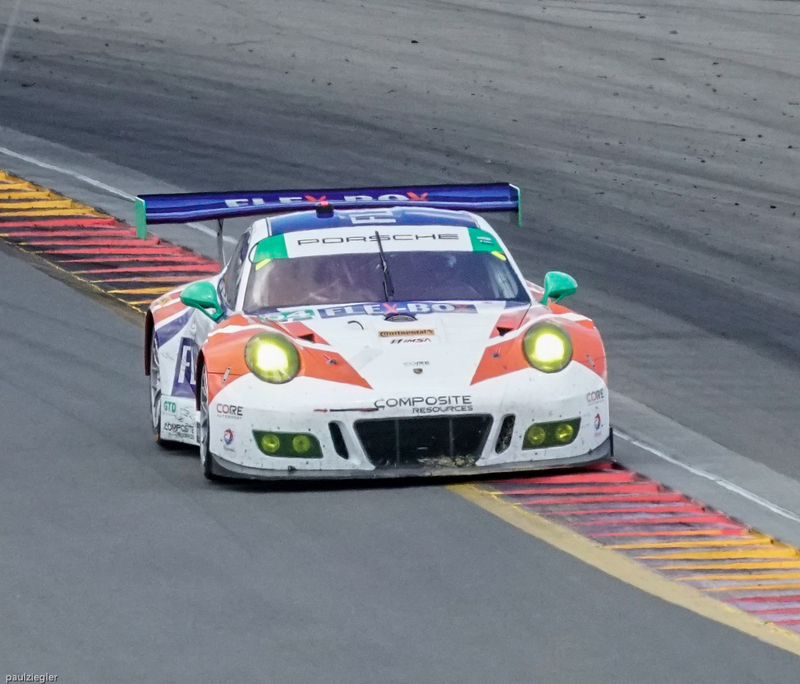 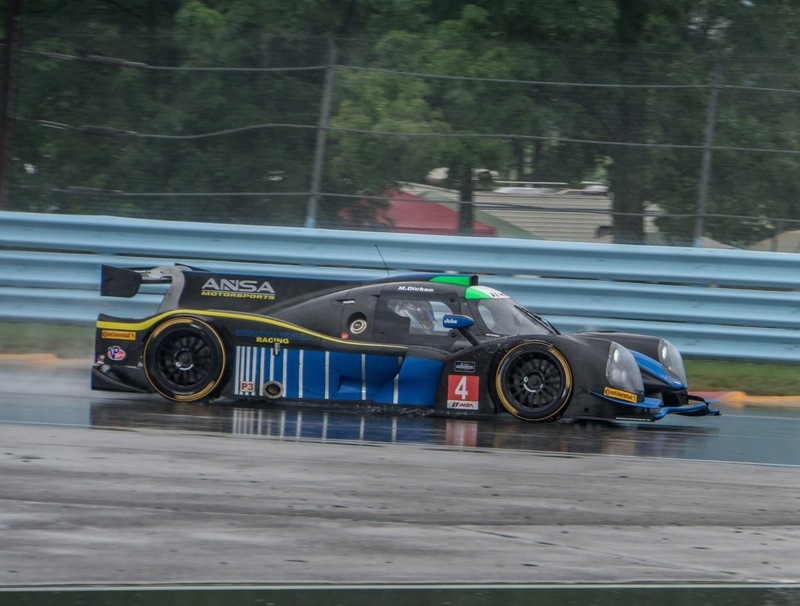 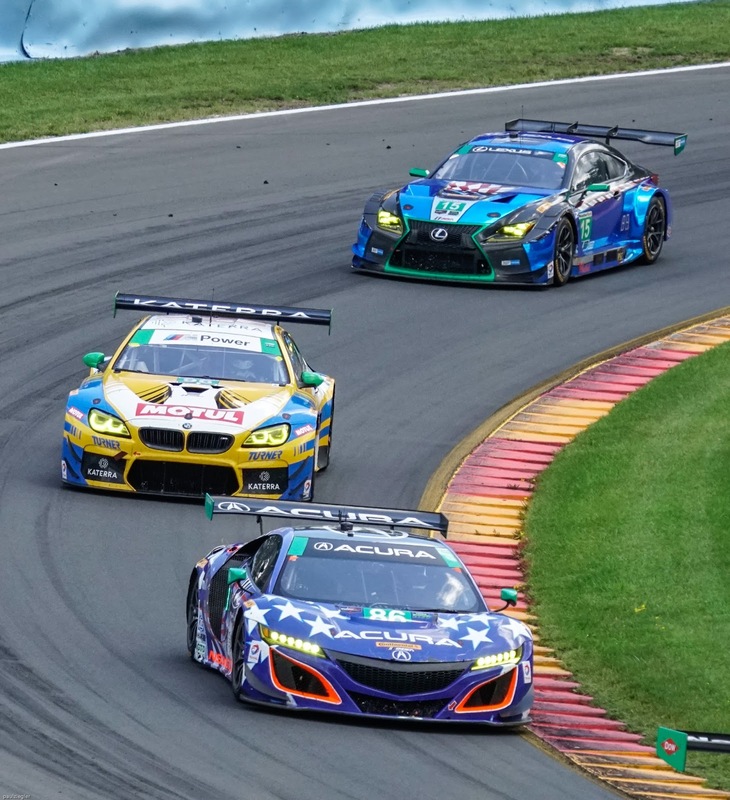 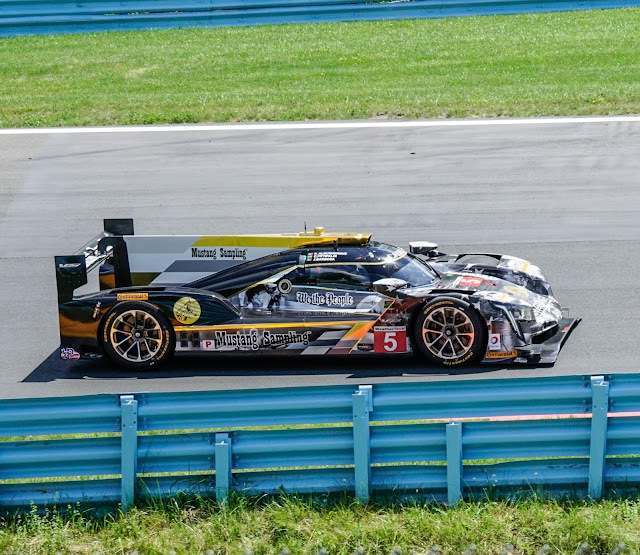 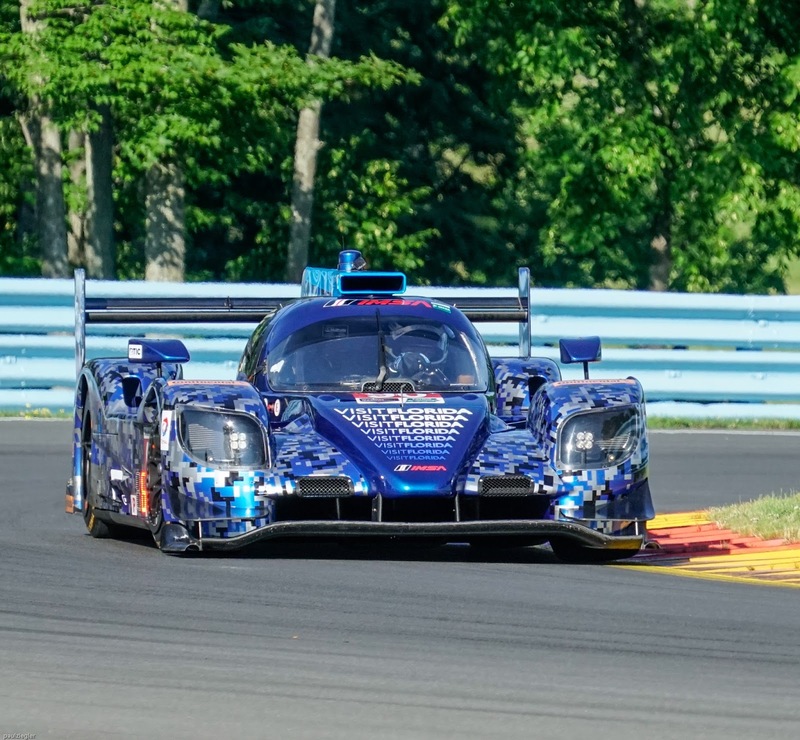 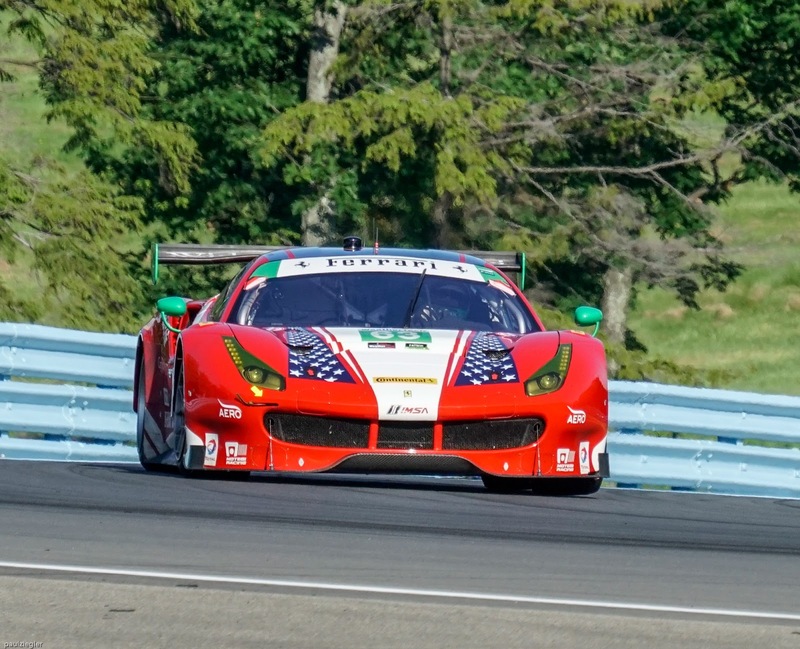 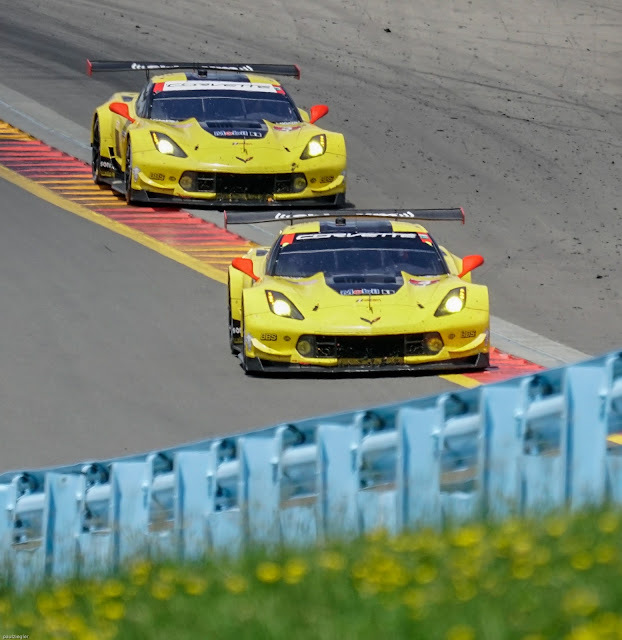 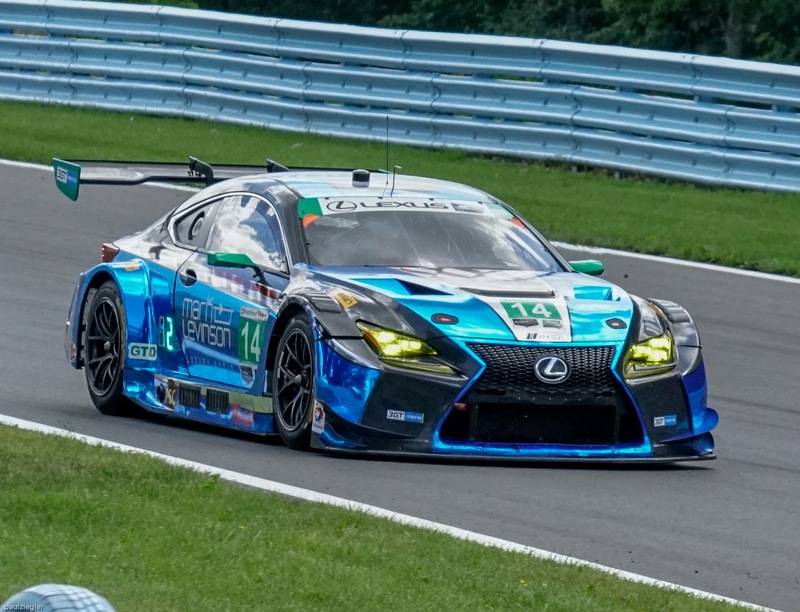 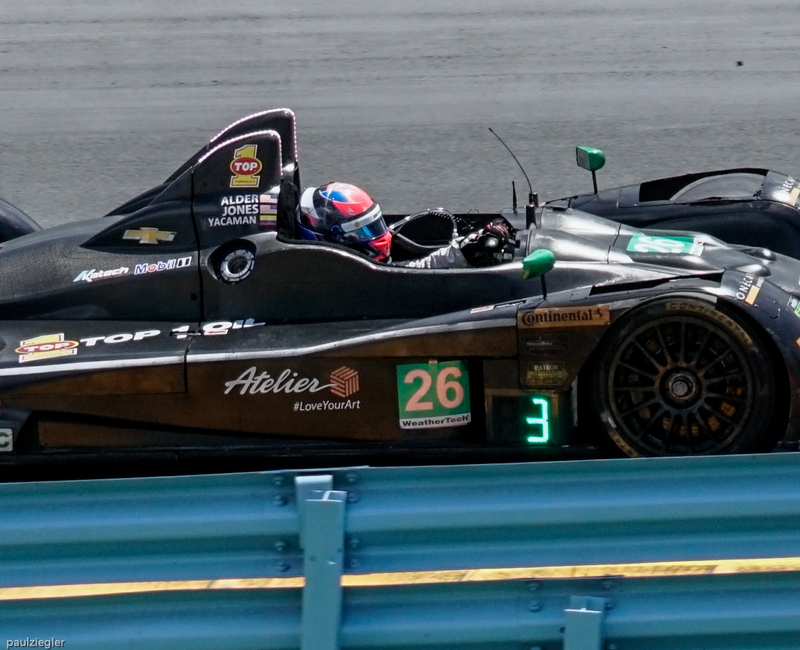 Sahlen's Six Hours of the Glen June 30 - Jul 2, 2017 was another action filled weekend at picturesque Watkins Glen, New York. 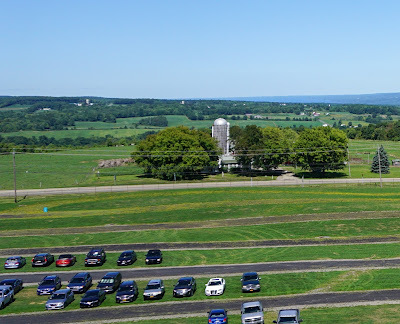 If you have not been there it is worth a trip that offers beautiful scenery, cool mornings and if luck is with you, beautiful blue skies over a park like setting on the top of the 'hill' with vistas that include farm fields complete with cows grazing above Seneca Lake miles in the background. 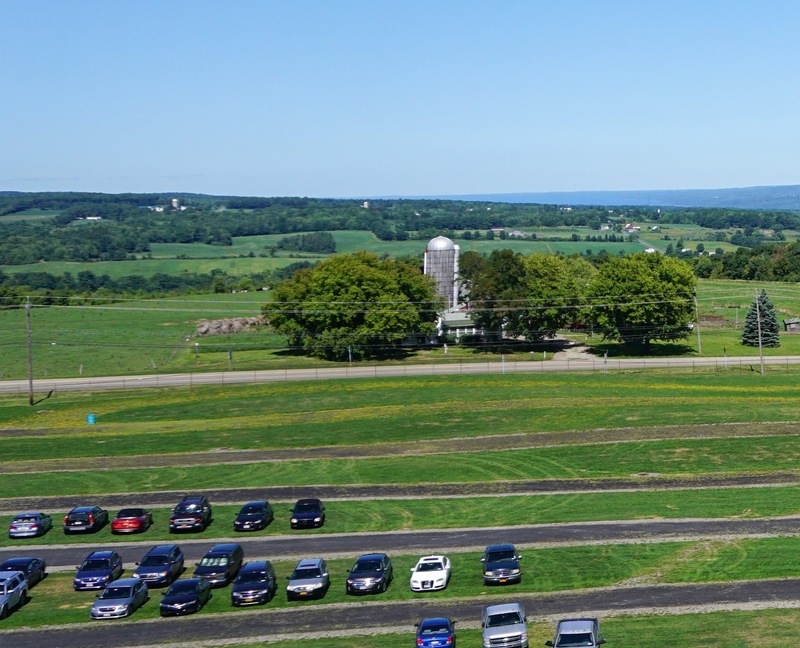 God's country, punctuated by the blatt blatt of four, six and eight cylinder motors reverberating off maple and pine trees. The following two pictures taken Labor Day weekend 2016 at the Indycar races show the rural, farm setting described above. 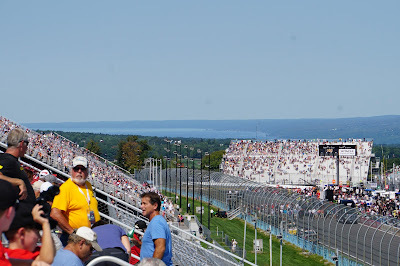 With Seneca Lake in the background 5 miles away from 'the hill'. 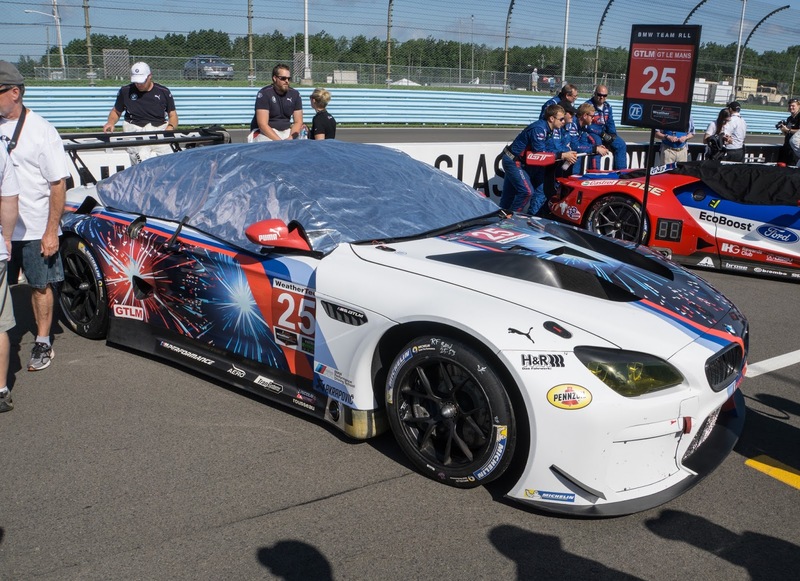 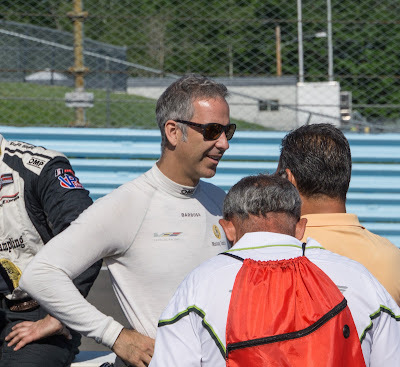 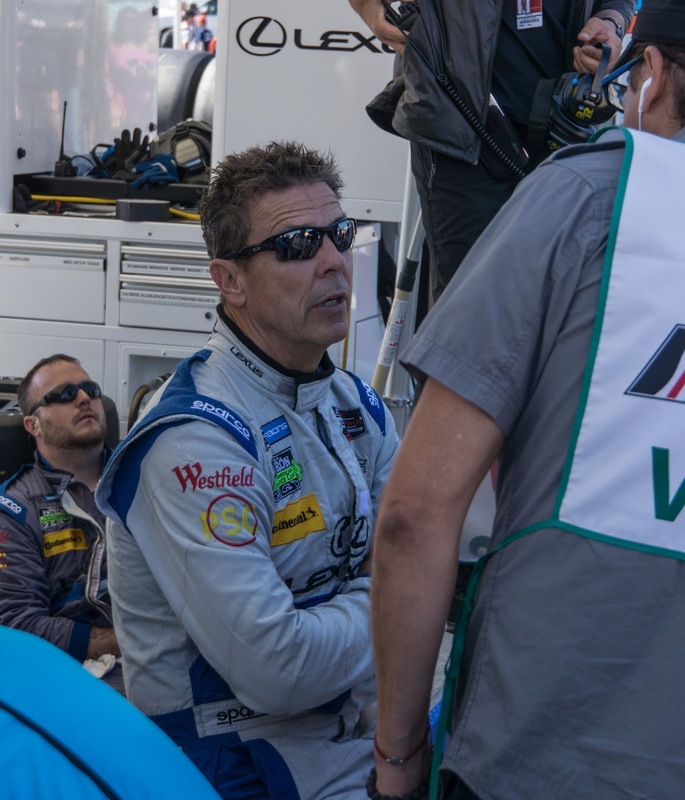 The gathering included such greats as Scott Pruett, Joey Hand, Ricky and Jordan Taylor, Bill Auberlen and Alex Sims, Patrick Pilet and Dirk Werner, Andy Lally and Joao Barbosa to name just a few. Of note, Scott Pruett was inducted into the Motorsports Hall of Fame of America a few days before the race. 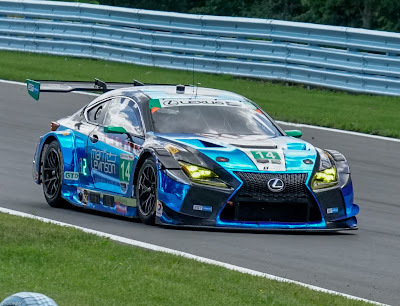 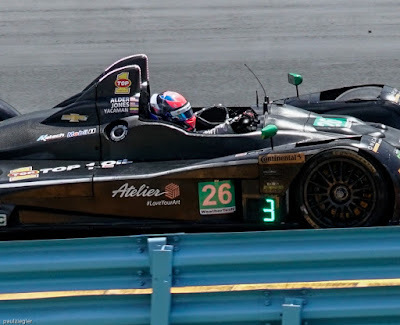 But along with the veterans, there were new faces as well and we welcome the likes of Sage Karam to the Glen who drove for Lexus along with Scott Pruitt. And we welcome back to the States 25 drivers who competed at Le Mans less than 2 weeks ago representing the likes of Corvette Racing, Ford Chip Ganassi Racing, Porsche GT Team, Risi Competizone and Scuderia Corsa. 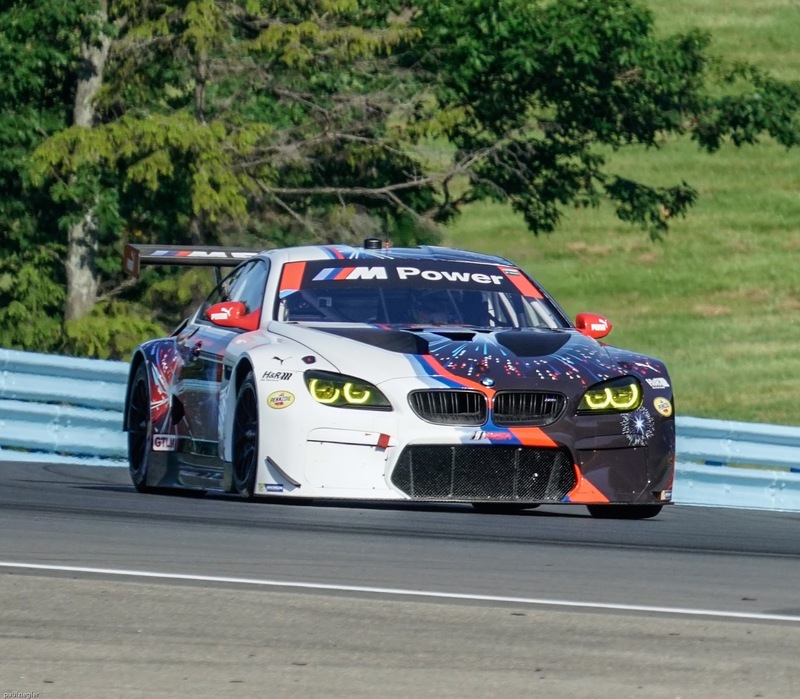 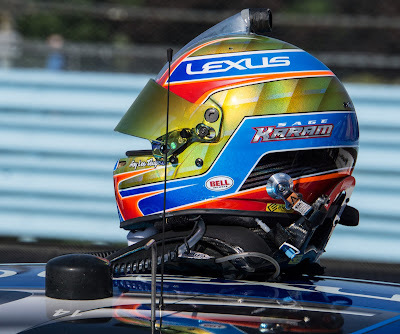 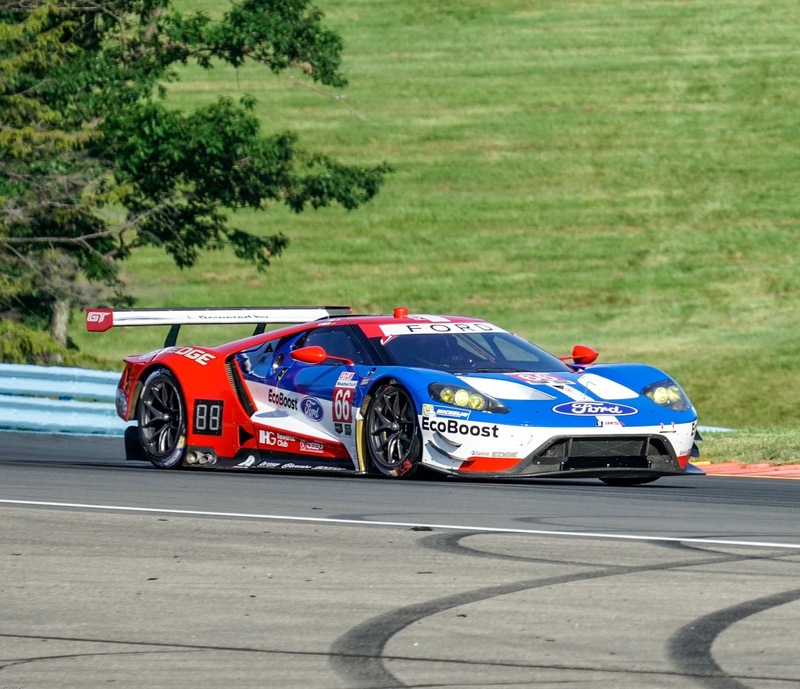 Must see video- sights and sounds of Watkins Glen! As usual there were great performances by Corvette, Porsche, Ferrari , Ford and the newest manufacturers racing in IMSA -Lexus and Acura. 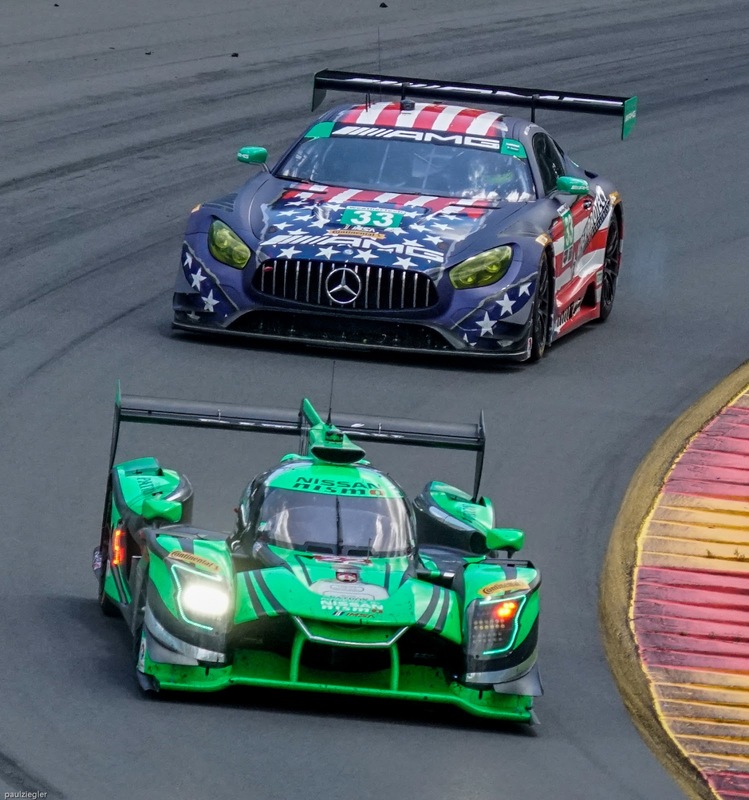 IMSA racing just keeps getting bigger and better. 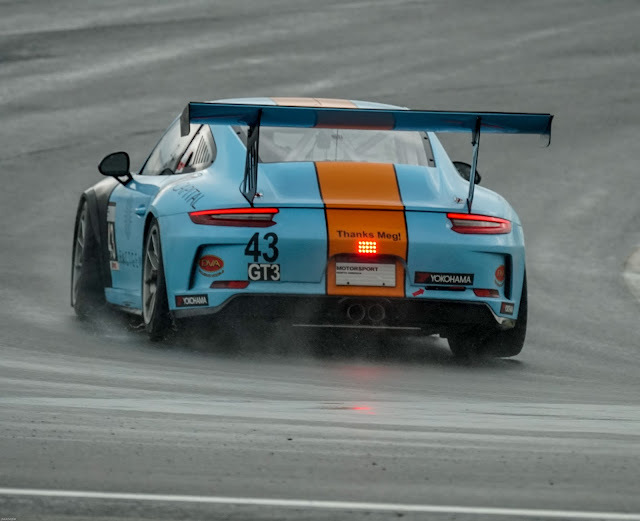 Beautiful livery on this GT3 Cup Porsche including rain! 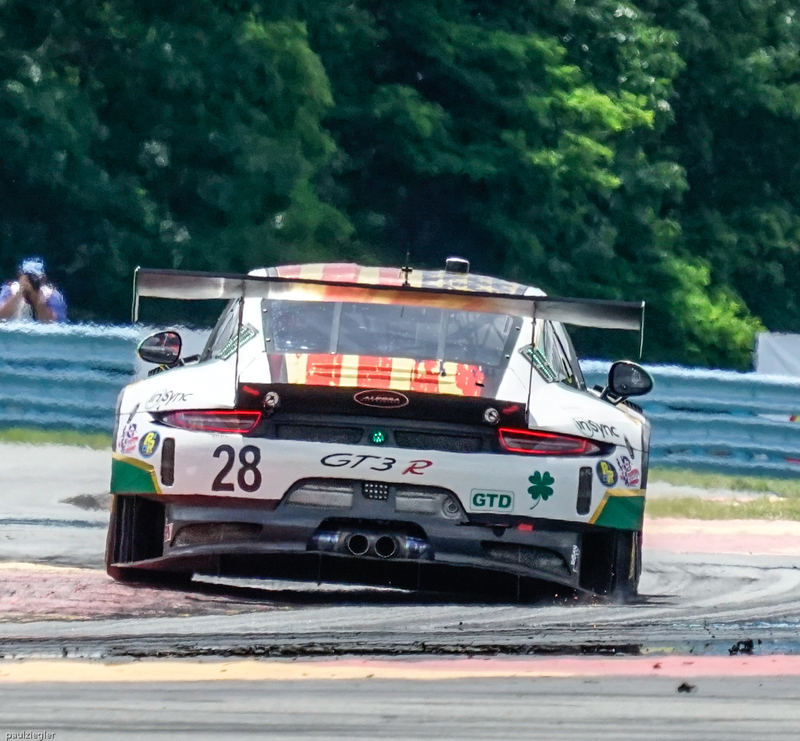 On Saturday Sage spun on oil coming out of turn 9. 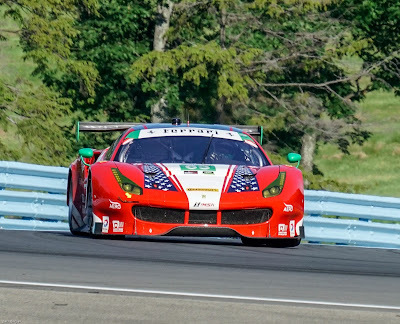 At the toe of the 'boot'. 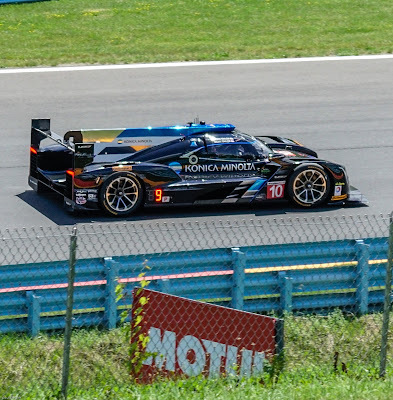 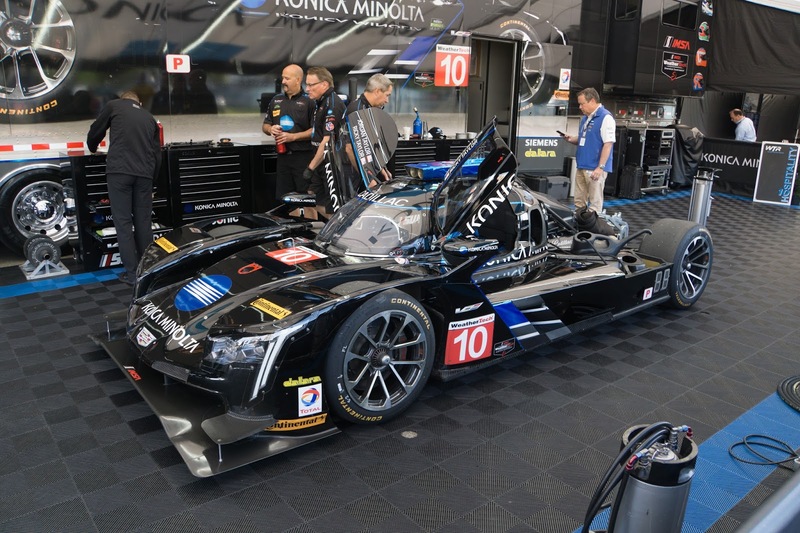 Konica Minolta Racing- a 1st lap shunt affected their race. 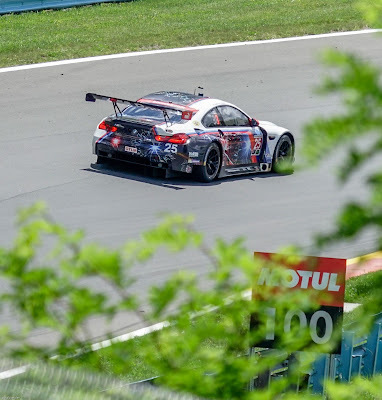 Team RLL Racing BMW M6- view through the trees. Charging up the hill out of the 'boot'- The winner, Mustang Sampling Cadillac DPi-V.R. Tight competition going downhill into the 'boot'. 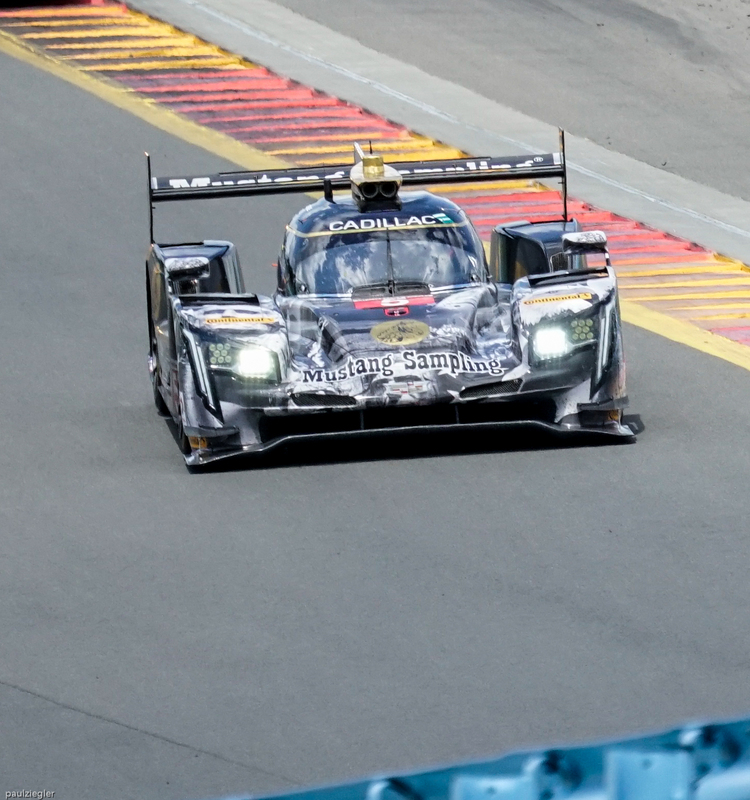 This is only a sample of the pictures I have available for a modest charge. 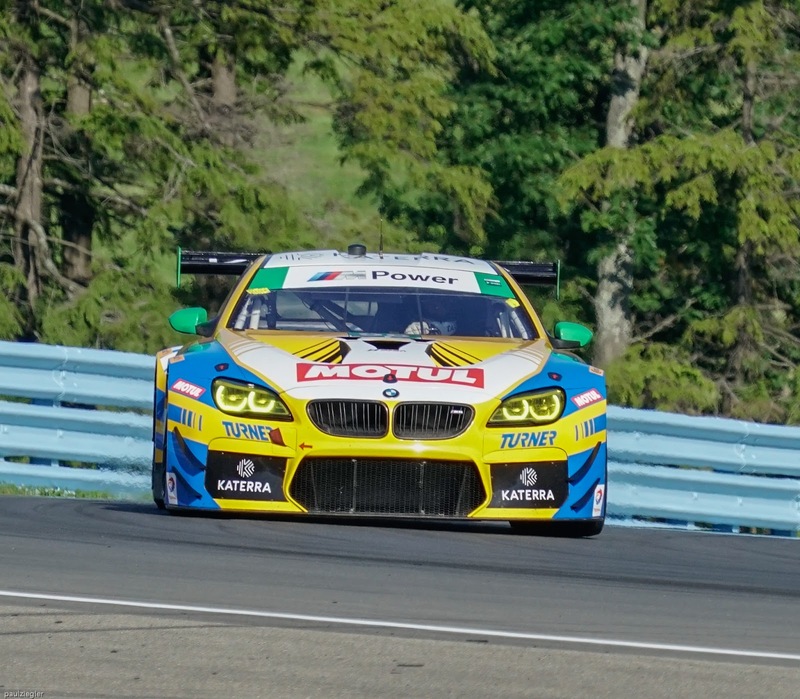 If you'd like more, contact me at ppziegler@yahoo.com. 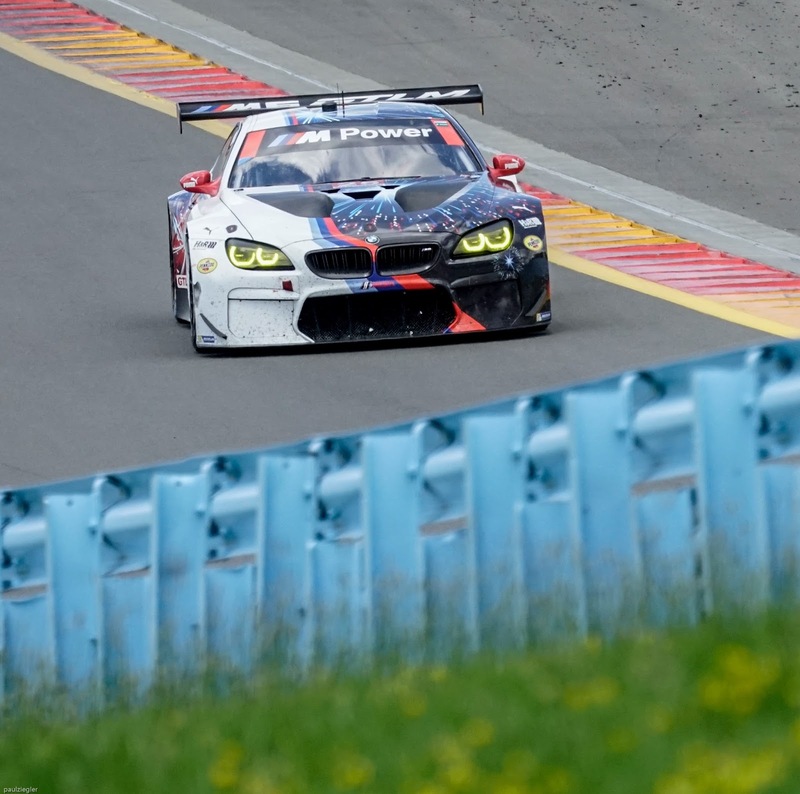 Hope you enjoyed the gallery from Paul Ziegler, www.carcamerastory.com.